Dead To Me Little Brother EP out October 28th! The long awaited follow-up to Dead To Me’s debut full length, Cuban Ballerina will be out this fall. 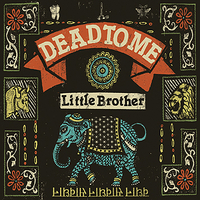 The EP, titled Little Brother will feature 5 brand new songs, and is available on CD and 12" EP. Check back soon to hear a track, and in the meantime, the band asks that you go here for more pertinent information.